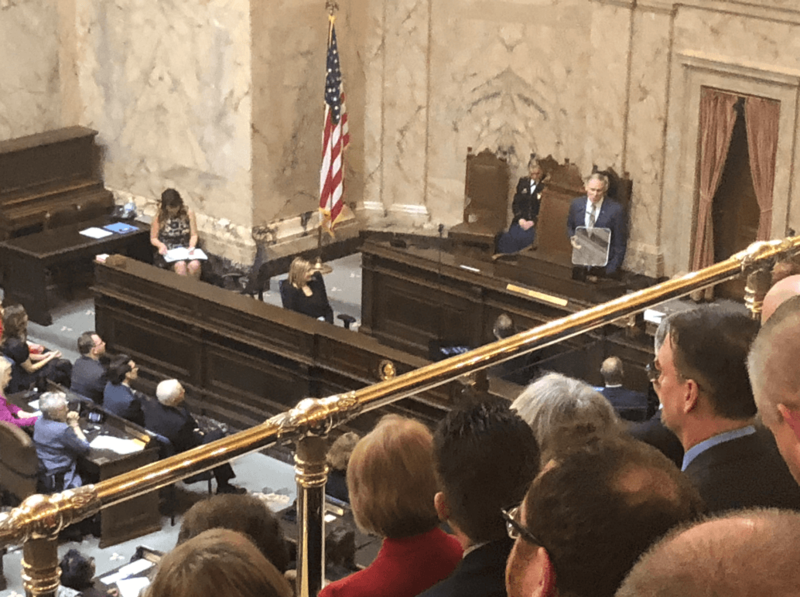 Yesterday, Washington Governor Jay Inslee delivered his State of the State address, in which he praised the diversity of this year’s Legislature and enumerated his legislative priorities — some specific, others broad — going into session. Inslee’s top four priorities — the priorities on which he elaborated the most — are addressing climate change, transforming the state’s behavioral health system, saving the Southern Resident orcas, and education. Those priorities were foreshadowed by announcements he made at the end of 2018. In December, Inslee announced his new clean-energy plan that includes legislation to enact a clean fuel standard and eliminate coal power by 2025. He also recently introduced a $675 million plan for transforming the behavioral health system, which includes expanding community services, building a new forensic hospital, and forming a new partnership with the University of Washington. He previously announced that investment would be about $1.1 billion over the next biennium. Several specific, education-related initiatives made an appearance in the speech: creating a new “birth to 3” preschool program, universal home visits for parents with newborns, expanding his Career Connect Washington initiative, and statewide free college through the Washington College Promise program. The other, rapid-fire issues Inslee listed ranged from specific items, like the $400 million he proposed to address homelessness and a commitment to statewide broadband, to broad statements, such as his support for reproductive health services for women. Following the speech, much of the criticism from Republican leadership focused on Inslee neglecting to mention where the money would come from to fund his initiatives. 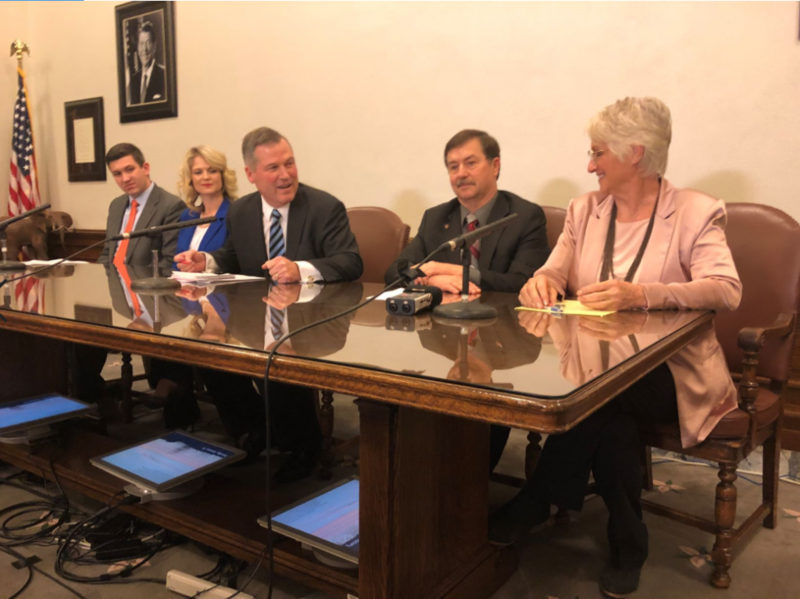 House Minority Floor Leader Drew Stokesbary said Inslee showed just “one side of the ledger,” while House Minority Leader J.T. Wilcox likened the speech to a timeshare sales pitch and Assistant Floor Leader Jacquelin Maycumber compared it to a child’s Christmas list. They did express some alignment with the governor on the importance of certain issues, like mental health and saving the orcas, but mostly voiced disappointment, partly in what Wilcox said was the governor’s effort to “divide” the legislature by including issues like “common-sense gun safety” in his speech. Videos of the governor’s State of the State address, the Republican Perspective on the session, and the Republican leadership’s media availability are all available via TVW.